Hello Crafty Friends! I hope you are all having a great week. My week is going good and I’m looking forward to the weekend! 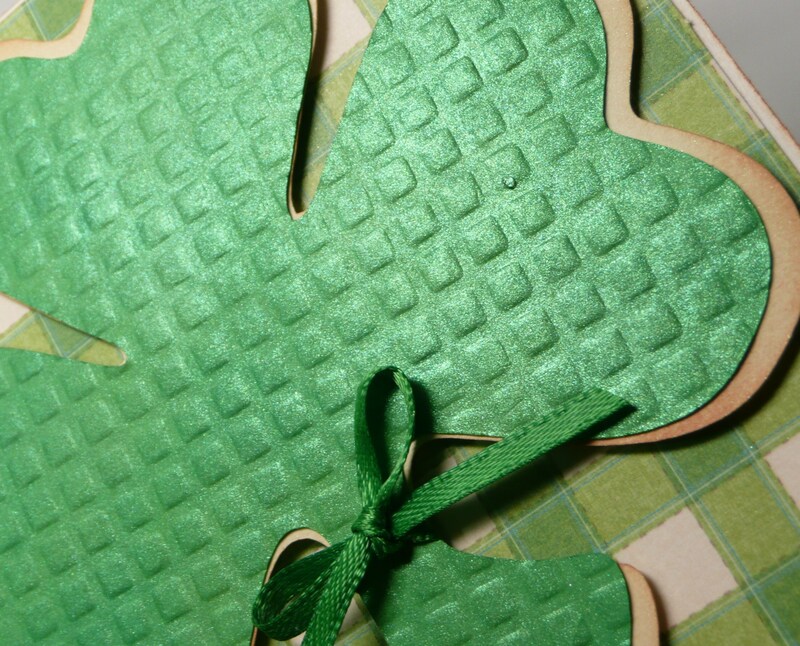 St. Patrick’s Day is coming up and if you haven’t made a card, now is the perfect time. Crafty Cardz Challenge has a fun themed challenge just for you. 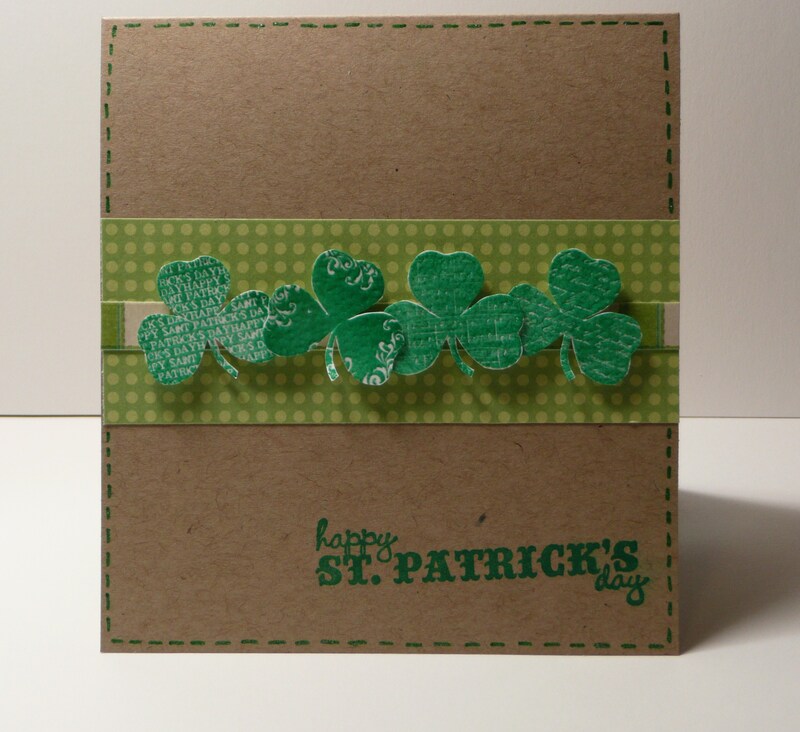 Make a card for St. Patrick’s Day using GREEN, BLACK and WHITE ONLY! My 4×4 St. Paddy Day card is below. I used the leprechaun hat from Paper Doll Dress Up and the clover from Give A Hoot. I stamped the background with a Studio g stamp, embossed the hat, glittered the black trim, inked/chalked around each element and even though it doesn’t show the hat was dusted in green Pearl X powder and the clover is painted with green pearlized paint. This is one time I wish I had an Action Wobble. Oh well, pop dots did the job! I think the argyle embossing really adds a nice touch to the hat. Thank you so much for stopping by! I can’t wait to see what you create for this challenge. 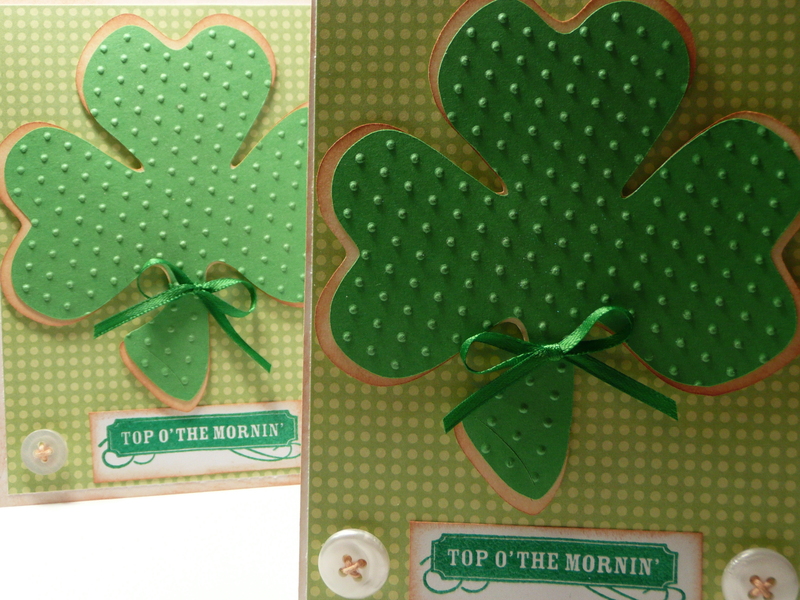 Happy St. Patrick’s Day and be sure to enter this fun challenge at CardzTv! Happy St. Patrick’s Day Crafty Friends! It’s time to kick off Cricut Cardz Challenge #104! The theme this week is “Wearing of the Green!”. 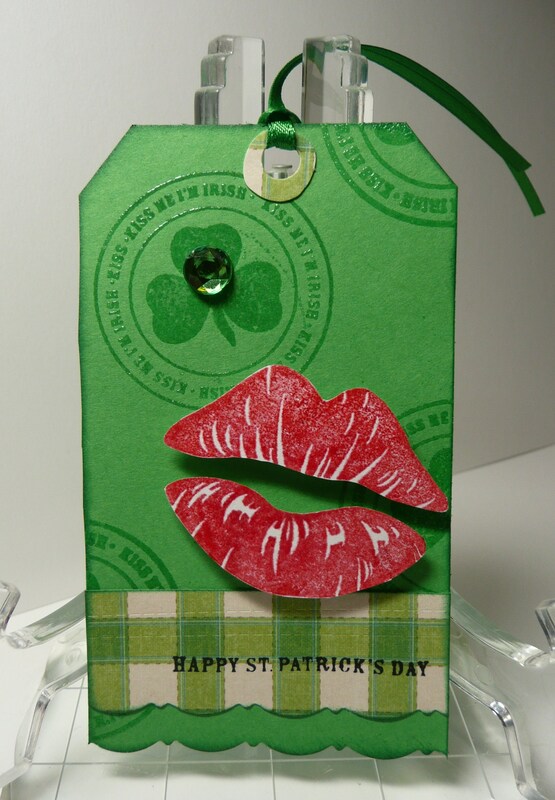 Make a card for St. Patrick’s Day using any cartridges you’d like, with GREEN as the main color. Check out my card below and let me know what you think. It’s definitely green enough! I used the Give a Hoot cartridge to cut the four leaf clovers. I used patterned papers from the DCWV Flower Shower Stack. Thanks for stopping by and visiting me. I hope my card inspires you to play along with us at CardzTv! 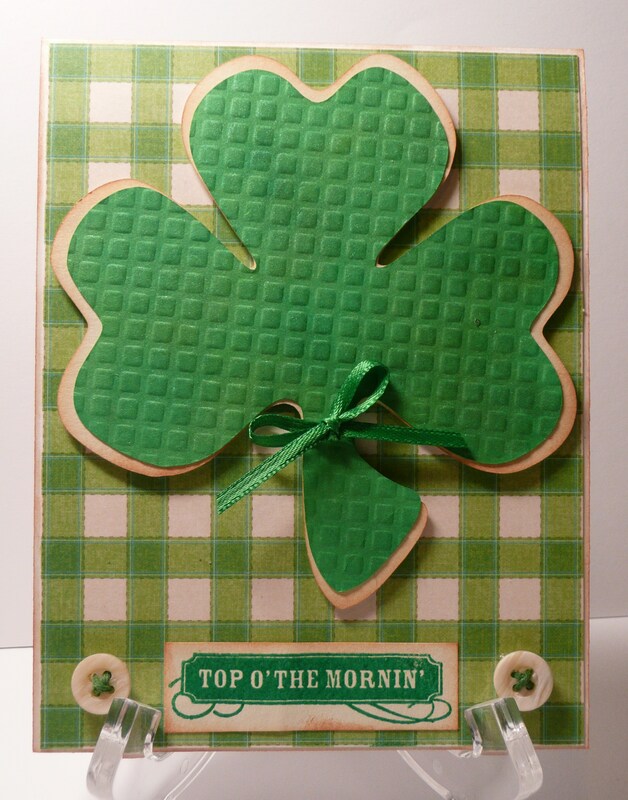 Today I would like to share with you my St. Patrick’s Day cards and tag. The first three cards feature the same layout but different patterned paper and embossing. These cards are all simple to make and perfect if you’re short on time. The fourth card is made using scraps from the first two cards and stamps from Studio g. The tag is made with a scrap from the first card, deco scissors and stamps from Studio g.
To view a complete list of products I used please visit my youtube page by clicking here. Thank you for stopping by and checking out my newest cards and tag!